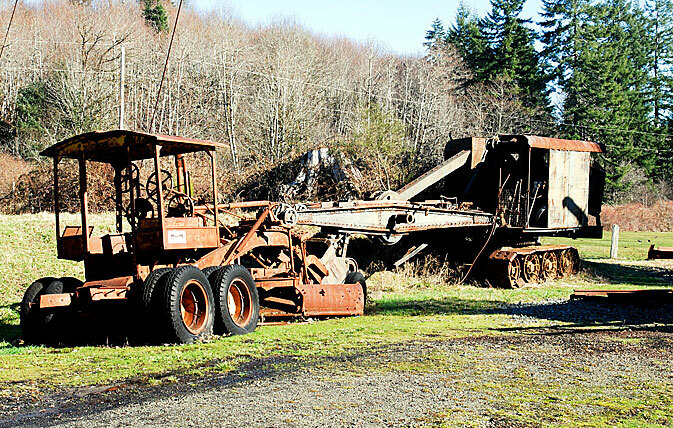 The large Willamette compound-geared two-speed yarder on display near the spar tree. 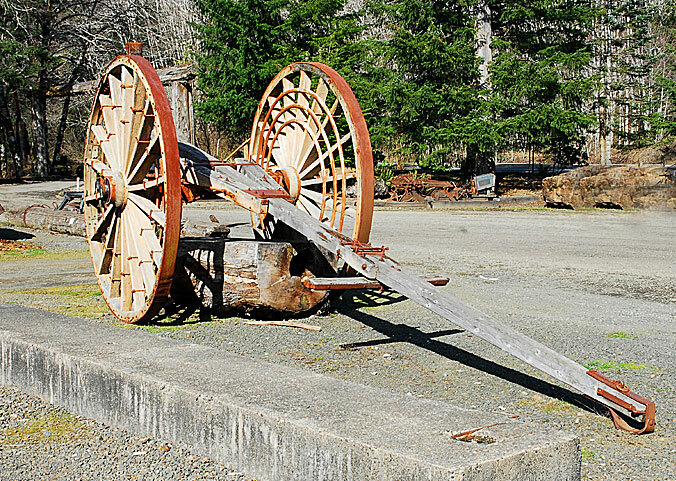 A “Big Wheel” logging arch was used to lift and haul logs from the woods, and was pulled by oxen or horses, and later on, bulldozer-type machines. You can’t miss the huge bull block on display just inside the restaurant’s front door. 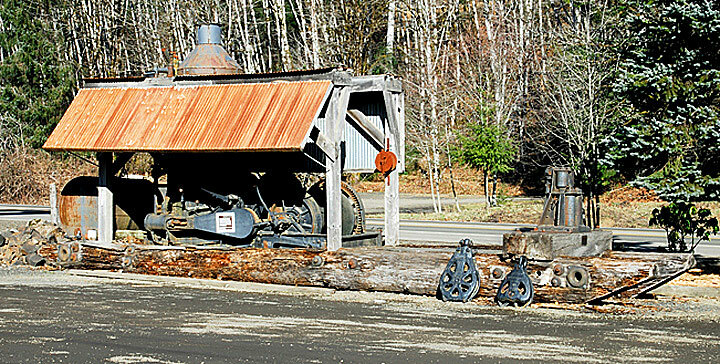 A logging caboose, Ohio steam crane and tracked logging arch are displayed just west of the restaurant. Clark & Wilson steel bay window style caboose is positioned between the Willamette donkey and the restaurant. 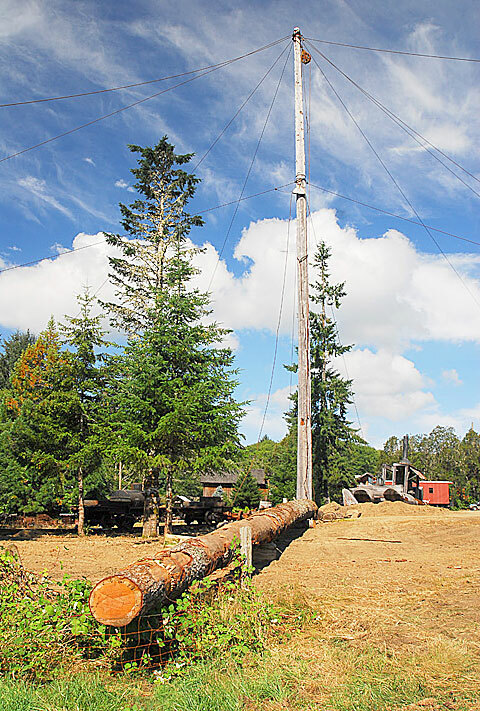 The new replacement spar tree is in position near the existing spar, and is being prepped to be raised and rigged in place. 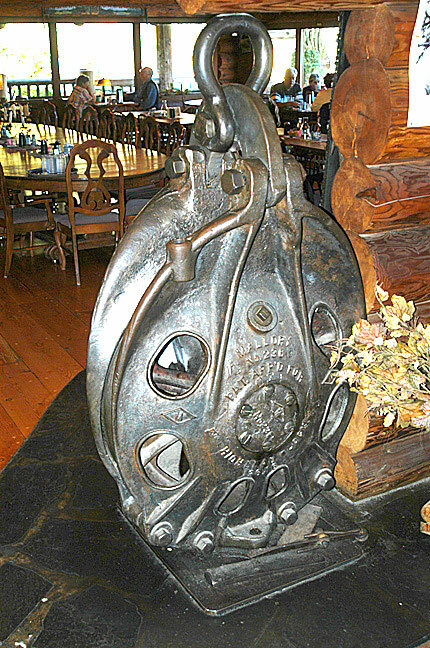 The Wide Face Tacoma donkey is prominently displayed directly in front of the restaurant’s front porch. 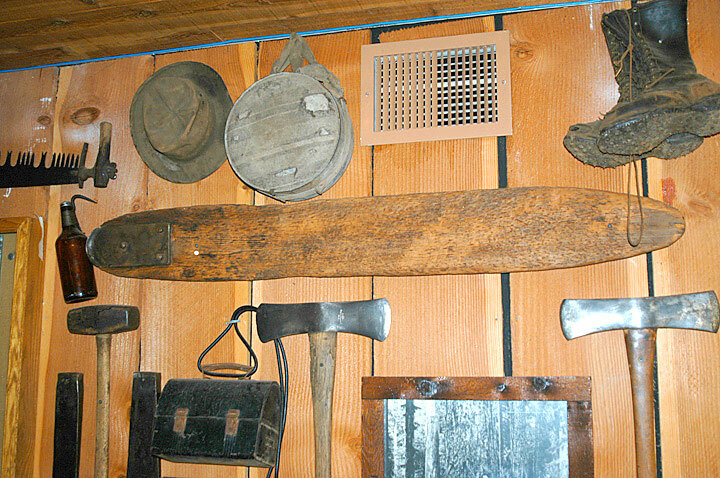 Visitors can examine a wide variety of historic logging tools on display throughout the restaurant. 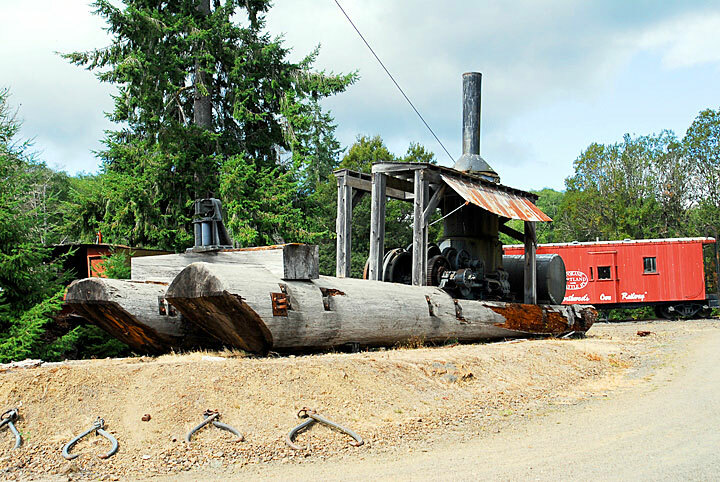 Roadbed grading and general construction equipment were important parts of the loggers’ hardware arsenal. This Austin Western grader and shovel are on display at Camp 18. "A DINING & LOGGING EXPERIENCE"
Served from 11 am - 7pm! 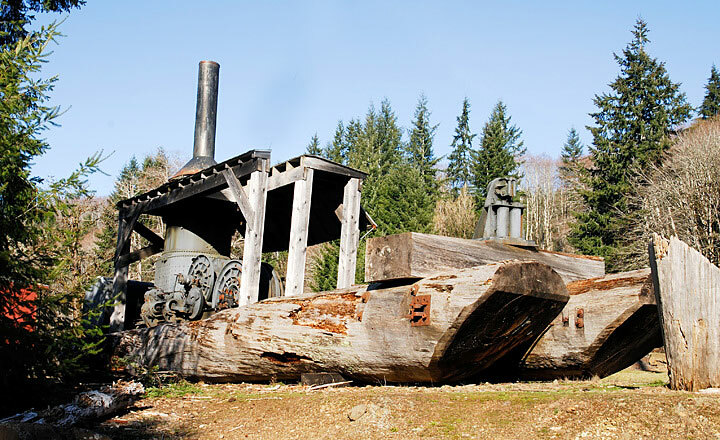 While in town, visit a nearby Logging Museum and Loggers' Memorial!